We have been overwhelmed by the outpouring of support for #BreakfastWithDads. But we don’t want this story to end here in Dallas! 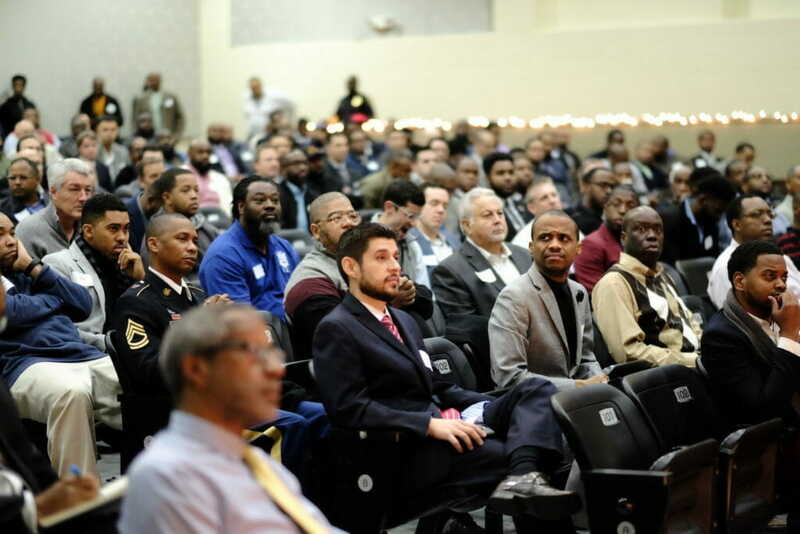 Breakfast with Dads is more than one event… It’s a movement. 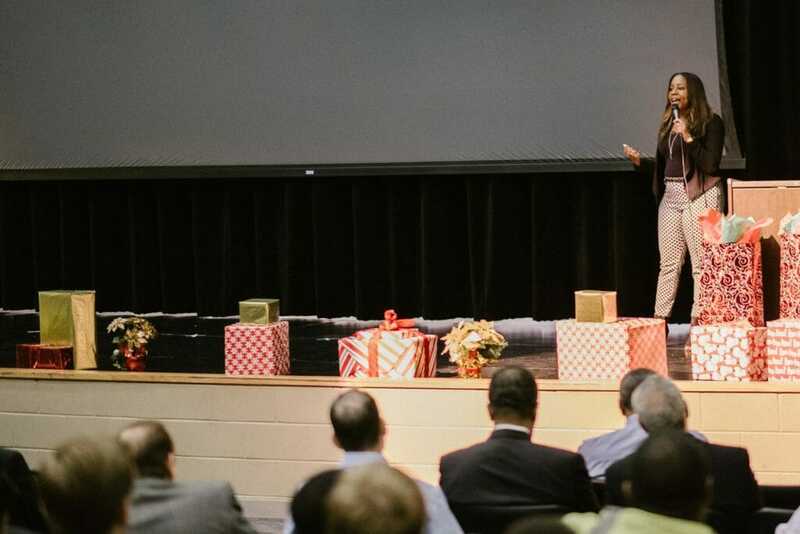 We’ve created a Facebook community to share stories not only of Dade Middle School’s Breakfast with Dads, but other inspiring community efforts around the world. 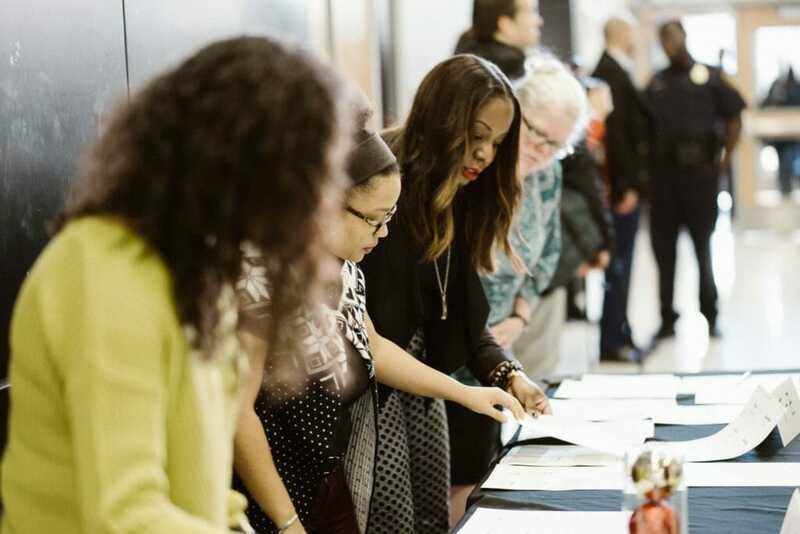 If you don’t know how to get started, we’ll help connect you with resources to replicate this in your own city. 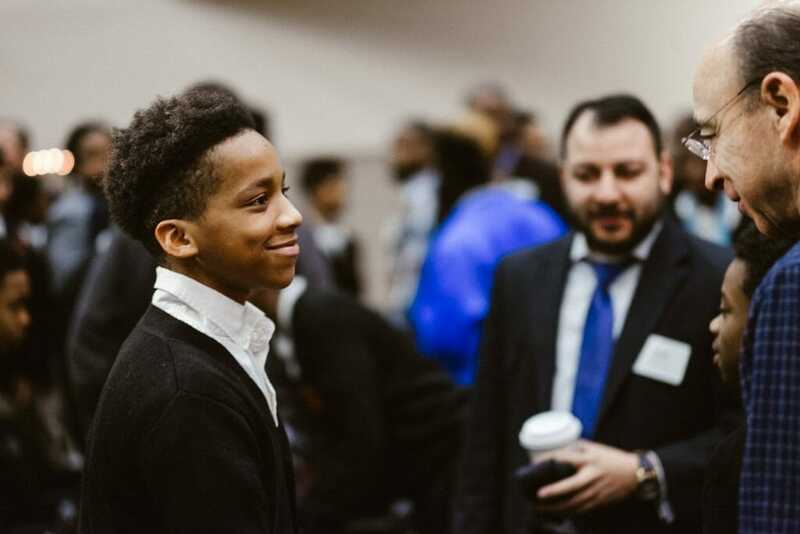 Inspired by Breakfast with Dads, one of the organizers Donald Ray Parish decided to establish a new organization to utilize the momentum and outpouring of support from the community as well as to address the effects of fatherlessness on today’s youth. 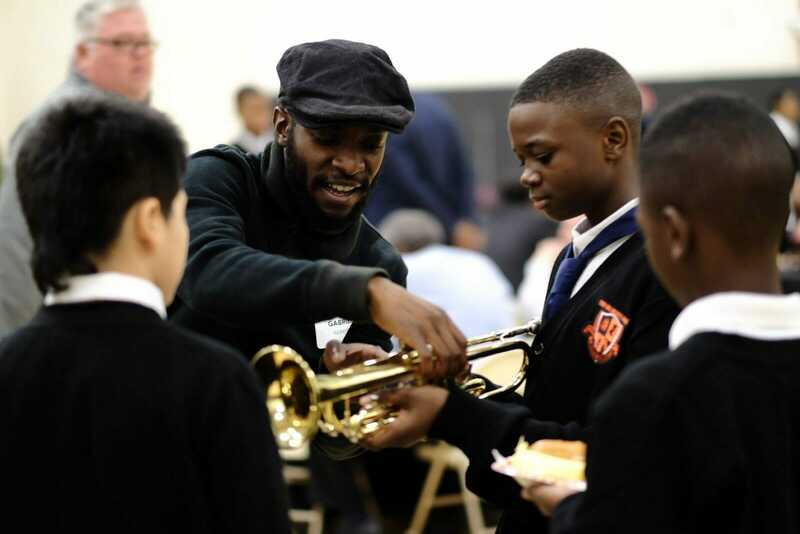 A Steady Hand, based in Dallas, Texas, is currently partnering with six schools located throughout the city. Photos I took from the event are available here and can be used with credit to Stephanie Drenka (https://stephaniedrenka.com). 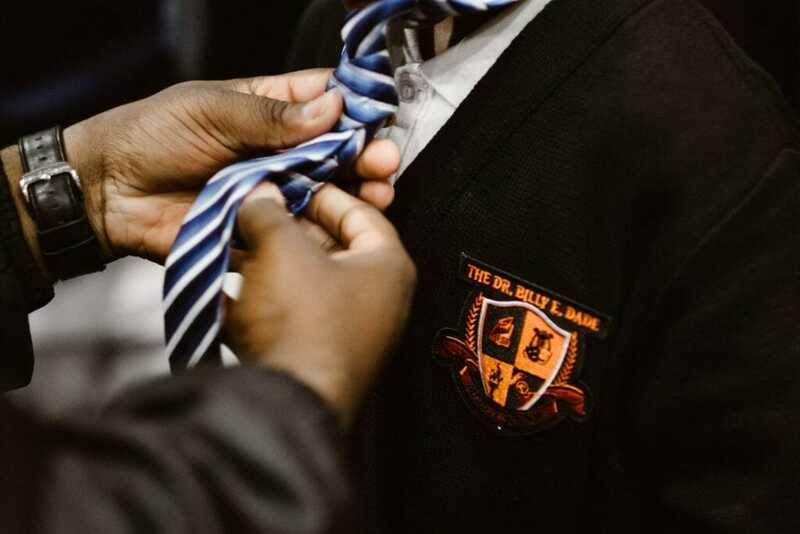 Back in December, the Site-Based decision making team of Dr. Billy Earl Dade Middle School ran into some difficulty when planning their annual “Breakfast with Dads” event. Dade’s community liaison Ellyn Favors mentioned that student participation was low due to young men not having a father/father-figure available to attend the event. Kristina decided to post a call for volunteers on Facebook in the hope of finding 50 male mentors to accompany the middle schoolers. Within days of the post (which was shared more than 125 times), Dallas Morning News published an article relaying the message. More than 600 men signed up for the event. The unexpected influx of interest led the team to move the event from the cafeteria into the gymnasium so they could house more guests. Kristina engaged the community again in getting volunteers to help with set-up and check-in. Team members from Big Thought, the Office of Cultural Affairs, and even Kristina’s personal friends showed up alongside the male mentors to make the event possible. I was privileged to photograph the event at Kristina’s request. It was a miracle any of the pictures came out in focus, because I could barely see clearly through the tears streaming down my face and fogged-up glasses. 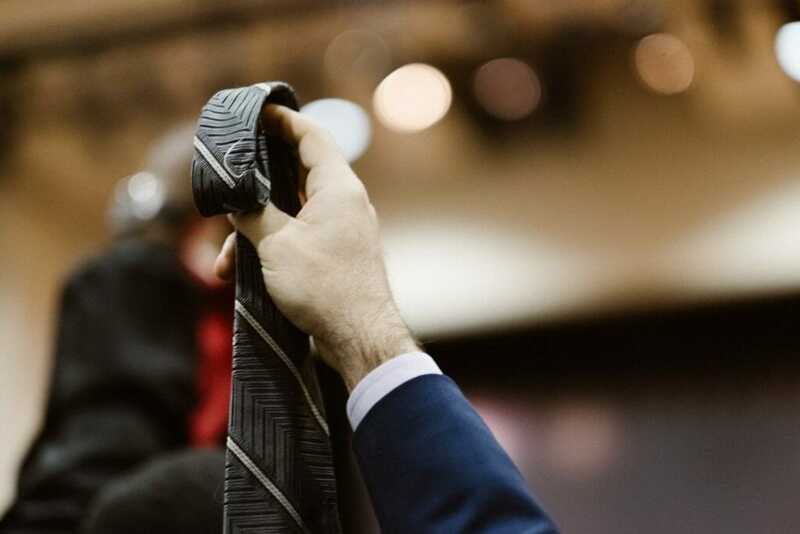 After everyone had their ties securely knotted, the crowd filed out of the auditorium and into the gym for breakfast. Mentors ate with the students, attempting to fit a lifetime of advice into a 30 minute meal. I listened to some of the conversations while moving around the room snapping photos. There was so much inspiration everywhere– the hope was palpable and reached every corner of the crowded room. The mentors volunteered more than their time. They shared their knowledge, encouragement, and passions with the students. Click here to view more of my photos from the Dade Middle School Breakfast with Dads event. Please feel free to share any of these with photo credit attributed to Stephanie Drenka. Following the Breakfast with Dads event, news of it has been shared nationally on CNN, MSNBC, and more. It’s an incredible story of kindness and community that our country really needs these days. Follow more “Breakfast with Dads” news coverage and stay updated on the initiative here. Such a wonderful story – memories were created here! My soul has been feed this morning. Thank you, Pam! We all need a happy story like this. Especially in these times! What an uplifting story! This had me in tears, I will never look at ties the same. So touching…. Thank you for reading, Heather!! It’s definitely a story that I will forever look back on in times when I need that extra burst of inspiration and hope. Loved this story. Loved ALL the volunteers even more. As a woman who raise a male child on my own, too often such events arose and I stepped to the plate often times as the only woman in a sea of fathers to support my child. To this date he honors me on both Mother’s and Father’s Day. Still there was much I could not impart, such as a Windsor knot, which I discovered prom night I could not perfect and hastily ran to my neighbors home to borrow her husband’s assistance. Please continue doing what you are doing for our youth. And a major shout of gratitude, thanks, appreciation and LOVE to all of the 600 men who stood up to support a child in need of a DAD! Thank you for sharing your story, Nadine!! This was definitely a team effort– teachers, staff, parents, men and women volunteers– all coming together for our kids. A very touching and memorable example of the power of community. I cried watching all the outpouring of love on the children. It truly takes a village to inspire, guide and become a conduit in which the younger generation can soar above their limitations. I am a proud foster parent and seeing the kids chase down their dreams fearlessly is an honor. Keep the Light Shining Bright…. H.O.P.E. is alive, today, on Epiphany Day —The manifestation of the Divine. Truly such a beautiful and exceptional story. Dallas should be proud of the dedication and integrity their community members have shown. So much respect for all the participants of this event, and especially for Kristina Dove, who is clearly an amazing and invaluable force in her community. Thank you for sharing this amazing and encouraging story! 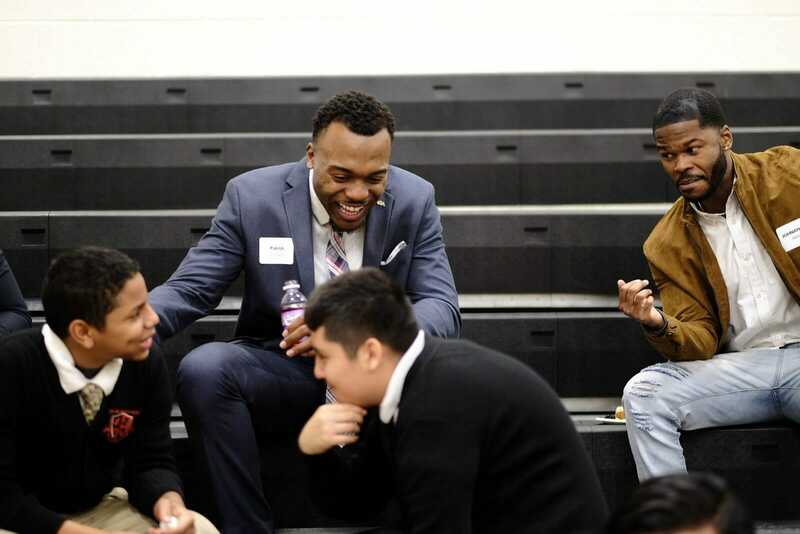 And a big thank you to all the volunteer mentors who stepped up to remind these promising young men that they do in fact matter to the community and are valued, because they are! May each of these wonderful men continue to reach out and make a positive difference in the lives of those students! A huge thank also to the organizers that made it possible! As someone who works with youth myself, I know how challenging it can be. So to see the success of an event like this is very inspirational. Thank you for your dedication and committment! Having just lost my Dad, this depiction of men of character and honor restores my soul; and once again, reminds me with gratitude of the Dad I was so lucky to have had. Thank you for this heartwarming story and to all the Dads that volunteered. Thank you, Stephanie. I’m so glad the links I followed from the Washington Post article (yes – big time national news!) about this event led me to your blog. You inspire me with your willingness and honesty on many different topics. And you write beautifully, which make your posts extra nice to read! Excelente página , Continue o fantástico trabalhar .